Cut butter into small quarter inch cubes, separate on a cookie sheet and place in freezer. 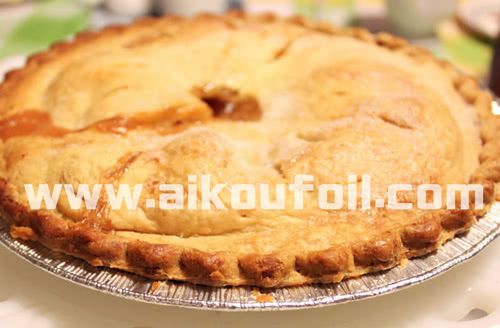 In an electric mixer fitted with the paddle attachment add the flour, sugar and salt. Mix on low just to distribute ingredients. Add butter and mix on medium-low speed until the texture resembles coarse cornmeal. Butter pieces should be no larger than small peas size. Add the ice water and mix on low speed just until the dough pulls together. 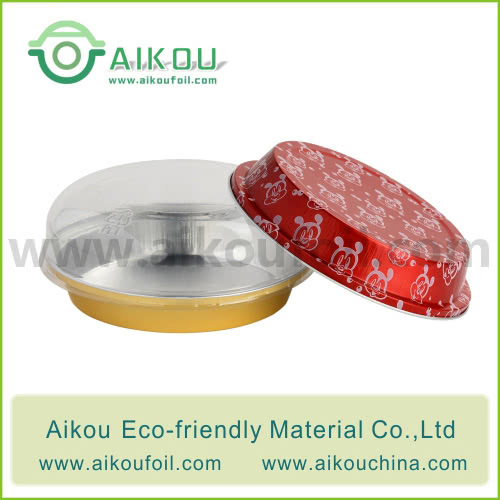 Turn the dough out onto plastic wrap and divide into two small, round disks. 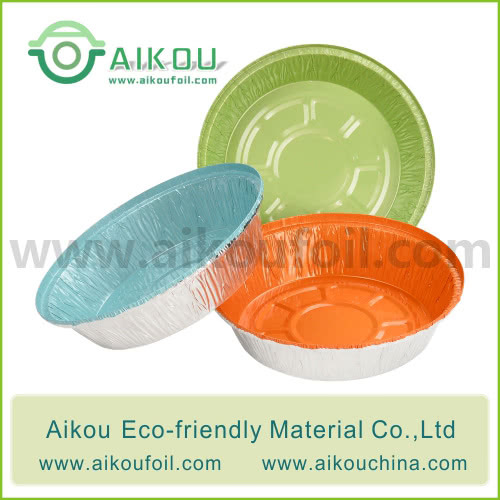 Wrap tightly and refrigerate for at least two hours before use. In a small bowl, sift together salt, cinnamon, nutmeg and ginger. Add pumpkin, brown sugar and spices and whisk to combine. Slowly add heavy cream and rum and whisk until incorporated. Preheat oven to 350°F with a baking sheet on the middle rack. Roll out one pie round to 10-inches in diameter, cut into 4 wedges. with a small knife so the dough is level with the top of the pan. Save the excess dough to re-roll. 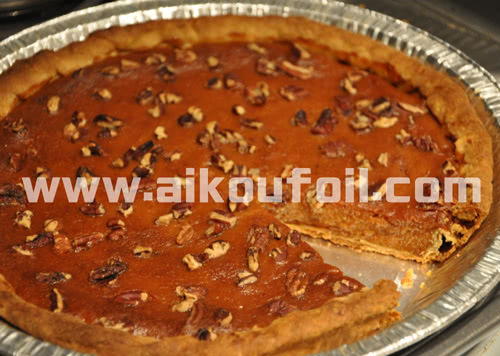 Once you have lined all pie compartments, place pan in freezer for 15 minutes. 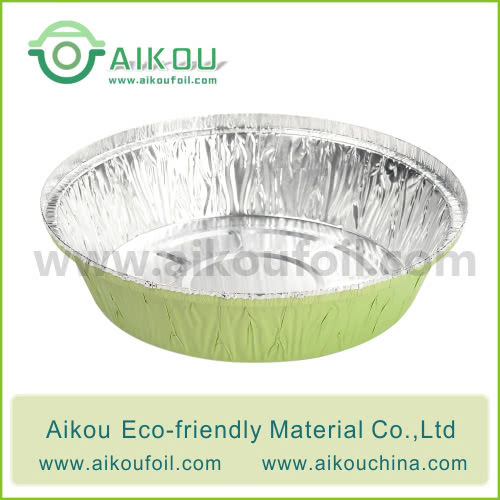 Line each pie with foil and fill with pie weights. Par bake shells for 30 minutes. about a scant 1/2 cup. Bake at 350 degrees for 45 minutes until the middle is set. 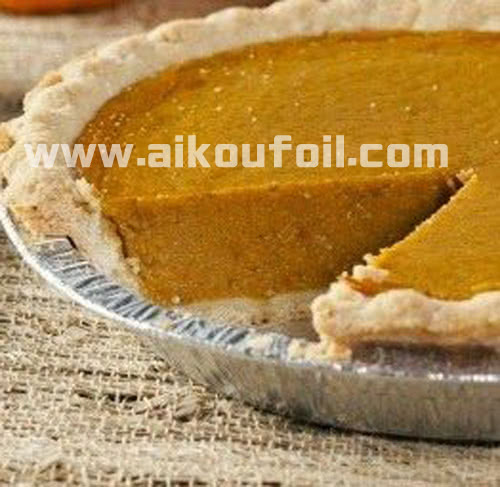 Use Aikou disposable aluminum foil pie pan will make your pumpkin pie be more attractive~!